The New Year’s resolutions have petered out and the fresh perspective we began the year with may be behind many of us now. We’re back into the work and school routine, it still feels cold, dull and well, a little bit difficult right? If this time of year affects adults, then it’s not unreasonable to assume that our kids might feel it too. I think looking at the stars can both literally and metaphorically help us all put our worries into perspective and realise we’re a tiny part of the universe. According to gostargazing.co.uk the best time to go stargazing are the days before, during and soon after each new moon. Finding out about the weather conditions and planning a stargazing trip sounds dreamy. However, if things like work and lack of time get in the way of that, simply check out the night sky after dinner, if it’s a dry night and there are no clouds then you’re all set to stargaze. Easy peasy! There are lots of free stargazing apps that will help you identify different stars, planets and constellations. We downloaded the Sky View app after a recommendation from a friend and it was great fun, it really did add to the experience. OK, so when it’s chilly outside who wants to leave the comfort of the sofa? If you and your kids aren’t feeling energetic you could do some low impact exercise like yoga or pilates. Go to a local class together or take a look at YouTube where you will find lots of different tutorials you and the kids can have fun trying out together. In our house we have discovered Cosmic Kids Yoga online which incorporates storytelling and morals into a yoga session. Our kids have been doing some sessions at the weekend when our mornings are a little more leisurely and I’m convinced it helps to put them in a calm and relaxed frame of mind. Give it a try! Ok so I may be biased, but there’s nothing better than putting the gadgets away for a while and having some quality time really connecting with your kids. Snuggle in front of a cosy fire or under a big fluffy blanket, make some hot chocolate and have fun making up your own stories together. We’re a house of book lovers and it was only through larking about and changing the storylines in the kids’ books that we accidentally realised our eldest found story making great fun! The stories you create together will be as unique as you and your kids and no one else will ever own them; how fantastic is that! There’s no right or wrong way to do it, you can tailor your story to the amount of time you have, and it really does gets the creative juices flowing for both kids and parents. Give it a try, I can guarantee you and your kids will love it. 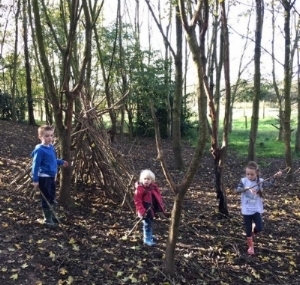 Den building is a simple and fun activity for kids and adults alike. If the weather isn’t being kind, then an indoor den is just as much fun. Once built, it’s a perfect place for the kids to have story time. Work together with your little ones to make a blanket den and fill it with old cushions and throws to make it super cosy. If you have the space for a more permanent creation, you could take inspiration from the den featured in the film ‘The Holiday’. I think it looks like the most magical indoor den there ever was! After a recommendation from a friend, my family and I tried Pebbleart and it was a big hit with all of us! It’s a craze that began in Heysham and is gradually building momentum. It involves painting rocks and hiding them for other people to find. It’s also a great chance for you all to get some fresh air in your lungs and have some one on one time with the kids whilst being away from the distractions of the house. Simply search for your local Pebbleart group on Facebook and your set to go! 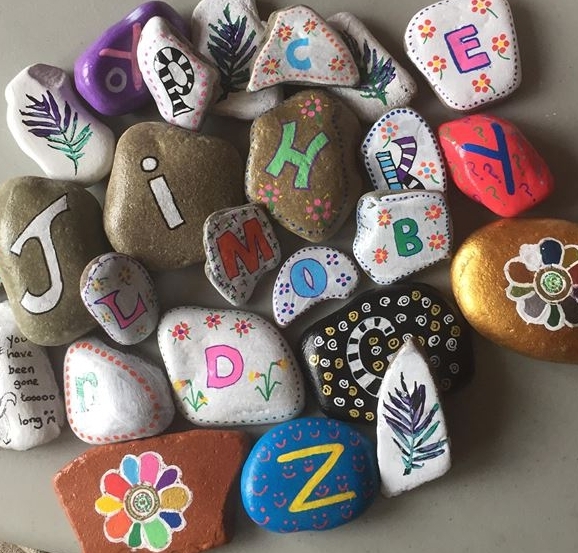 You will find photos of pebbles painted by adults and kids alike along with hints as to where and when they have been hidden. 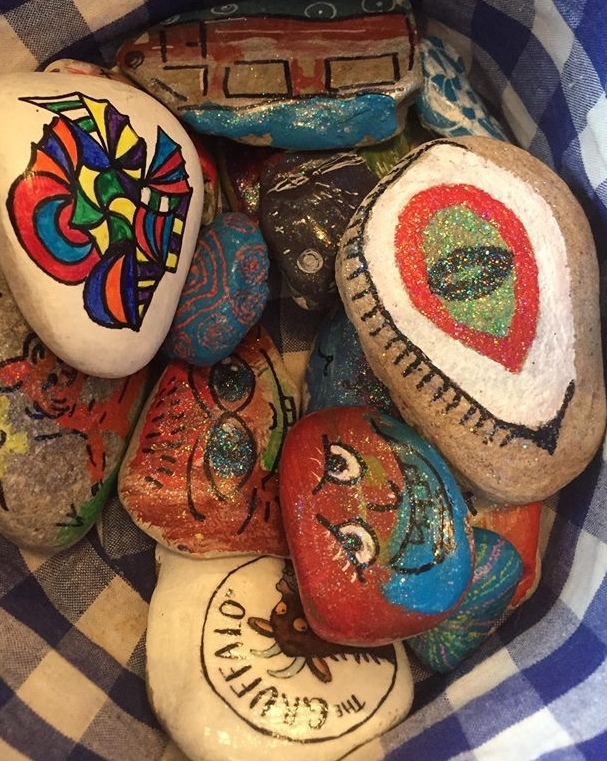 You can also paint your own pebbles and hide them for others to find. I particularly love the way making things for others is at the heart of this activity. Of course, once us folks at Magical Story Jars HQ had tried it we had to get in on the act. Keep an eye out on our Facebook, Twitter and Instagram pages for details of a special Magical Story Jar character pebble and prize coming to a street near you very soon! Volunteer or do something that benefits everyone. On a few occasions, my daughter and I have made up packed lunches and headed into the city centre to hand them out to the homeless. She drew pictures with a note for each packed lunch and we made the sandwiches together. Understandably with my daughter only being six, the importance of safety and only speaking to strangers when I was with her was considered and discussed beforehand. It’s safe to say our efforts really benefited all involved. People without money and a home were given lunch, we both enjoyed the one on one time spent together making the packed lunches and perhaps rather selfishly, we experienced the feel-good high you get from helping others. What’s more, that evening when I tucked my little girl up in bed and we talked about what she was most grateful for, it became clear she was beginning to be thankful for the most basic of things: having a family who loved her and a bed in a warm house. It doesn’t have to be helping the homeless, have you got an elderly neighbour who you could pop in to visit or a nearby charity that needs help? We are surrounded by opportunities to help others and become even better versions of ourselves. Teaching our kids how to beat the winter blues is a great learning opportunity. It gives us as parents the chance to make them aware that feeling a little deflated during the winter months and after a big celebration like Christmas has passed is completely normal. By involving kids in making a conscious decision to do some fun activities together, they may well learn to understand they are in the driving seat and have it within them to take actions to make themselves feel better. Whatever you get up to in the next few months make sure you start out as you mean to go on; in a fun and happy way! And remember, Spring isn’t far off. I would love to hear your ideas for keeping you and your family upbeat during the colder months?